"Day for Night is a cinematographic technique used by movie makers to shoot a scene in day light and make it appear to be night time." 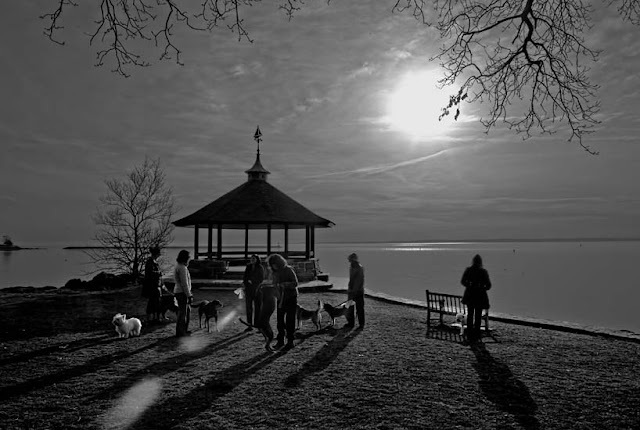 Dog Walkers © (2013) by H. David Stein was taken in bright sunlight. Image Source: H. David Stein. I will be away from the blog completing other projects until October 1. The blog's Best Posts have been updated, here. See my Late Summer Interlude music selections from 2011, here.